Lil Tay Rubbing Elbows with Rick Rubin How You Like Me Now?! 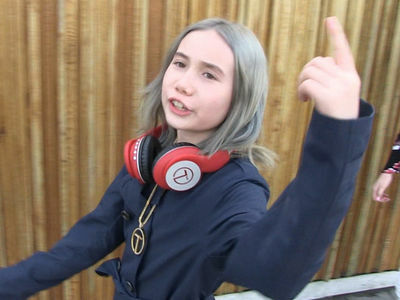 Legendary producer Rick Rubin is the architect behind Jay-Z, the Beastie Boys and now... Lil Tay?! The foul-mouthed 9-year-old rapper posted this video on her Instagram story for her more than 2 million followers to soak up. It's a quick video ... but the mere hangout's got everyone wondering if Rick's gonna get in the Tay game, or if they just met by chance. It's also unclear where the hell this video was taken, but one thing's for sure ... Tay stuntin' in front of expensive cars proved to be quite the ruse. So, take this meeting with a TON of salt.